Hi everyone! 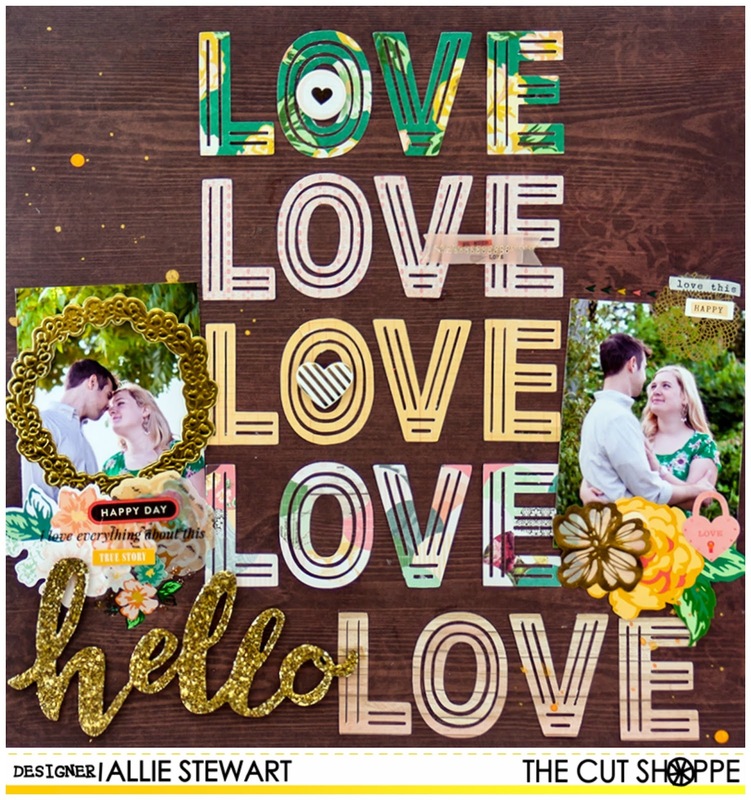 I had a layout up the other day on The Cut Shoppe blog using the Word Art cut file! 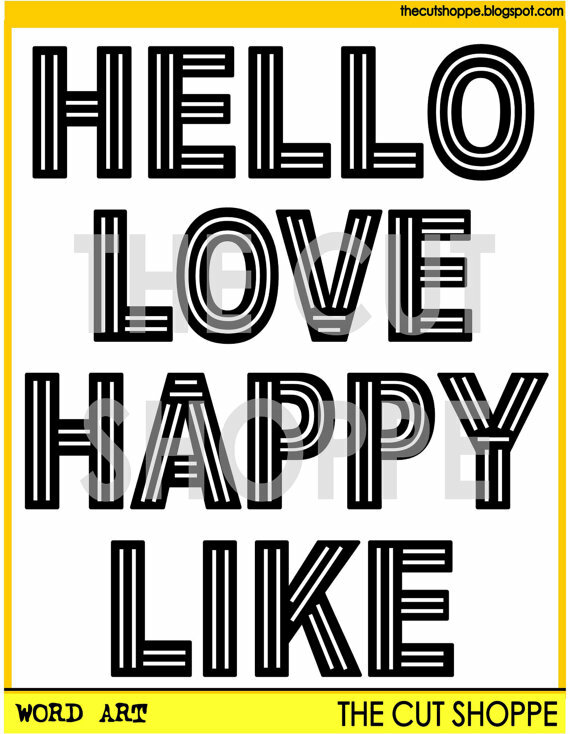 Today I used "Love" from Word Art to create this layout. I added a sparkly "hello" to create my title. I absolutely love these letters and how much bang you get for your buck with this cut file! They're so fun! I kept the embellishments coordinating and semi-minimal to emphasize the "Love". I realized after I had made this layout that the very talented Gina Lideros had used a similar technique with the repeating title. Thanks for the inspiration, Gina! I think the words in this cut file would look awesome enlarged, small, repeating--the options are endless! I love this so much, Allie! I love how all the big LOVEs make such a bold statement. The colors are beautiful against the dark wood grain, and I love the pops of gold. It's truly gorgeous! Such a great use of the Word Art cut file Allie!! The repeated title is really awesome!! Just love how you used this....great layout!